With warmer months fast approaching, so is a full schedule of charity races, fun runs and more outdoor fitness-themed events. Sponsoring these types of events is a great way to not only start to generate awareness via cause marketing but also establish your company’s vital role in the community. When you sponsor any event, especially one like a walk, run or retreat, you immediately and substantially increase awareness of your brand. You’re giving your time and support to important causes in your area in a very public manner. When you start creating experiences that exemplify fun, excitement and community, people inevitably take notice. All this helps build brand awareness and loyalty. Encouraging health and wellness causes not only ensures that your brand gains positive brand impressions during and long after the event. You’re also showing support for the causes that matter most to you and to those in your area. Giveaways at fun runs, walks and retreats don’t have to be boring. Branded merchandise can make great incentives to participate and even awards for winners. Think outside the box to get your brand noticed even further. While a good branded t-shirt can go an extremely long way, more fun and unique giveaways will create more hype at the events and beyond. Notable drinkware or unique and useful bags to get your name out there. Additionally, if your employees are working the event, dress them to impress as your chosen brand ambassadors with branded gear that shows off your pride in your company and your community. There are tons of unique ideas for how to utilize promotional products at springtime runs and walks. Be creative with your promotional products and your brand can stand out. 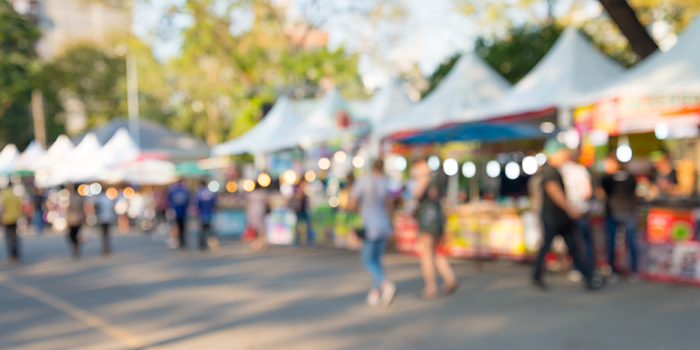 Make sure your brand is represented at local events with logged items people will love.